When it comes to the opening of a new park, or even a new attraction for that matter, guests are never totally left in the dark. 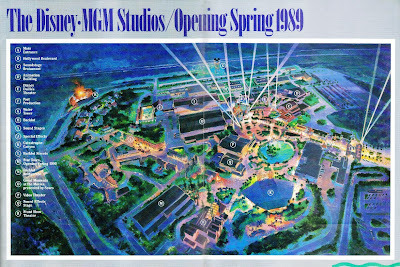 From television programs, postcards, signage, news articles, soft-openings, and even preview centers, each opening has always had pieces given away ahead of time, in one form or another. While entire experiences have not been ruined, glimpses into what might be have always succeeded in getting hearts thumping. Perhaps one of the forgotten gems of these openings are the various preview guides. 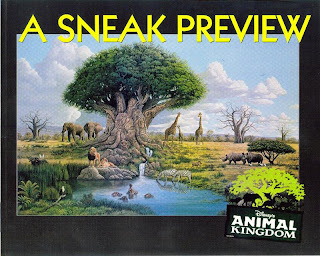 The preview guides, which were different for each park opening at Walt Disney World, included articles, concept images and models, even construction and creation photos. 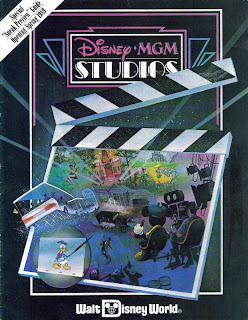 In both EPCOT Center’s and Disney-MGM Studios’ guides, maps were also provided. In the finest tradition of giving a little and hiding a lot, these guide maps were not photographic, but rather concept painting of what the parks would look like when they had been completed. 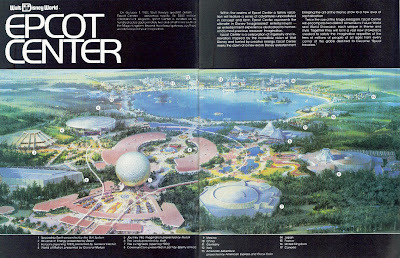 In fact, even though these publications were released close to the grand openings of the parks, the maps still included items that never saw the Florida sunshine, such as the Disney Dailies Theater in Disney-MGM Studios or Equatorial Africa in EPCOT Center. 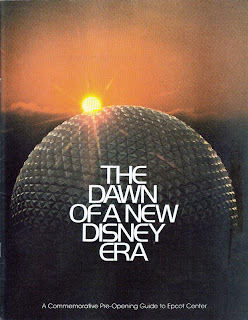 Whatever did, or didn’t, come to fruition within the boundaries of the parks of Walt Disney World, these guides created buzz (prior to the internet), enticed visiting vacationers to return, and contained vast amounts of history. Once a park opened and postcards and pictorial souvenirs became available, it is not surprising that these previews were forgotten and fell to the wayside. Thankfully, they have endured over time and stored their surprises, like a time capsule that has captured the true spirit of its age. Were did you find those photos? Marc, these images are from my personal collection.